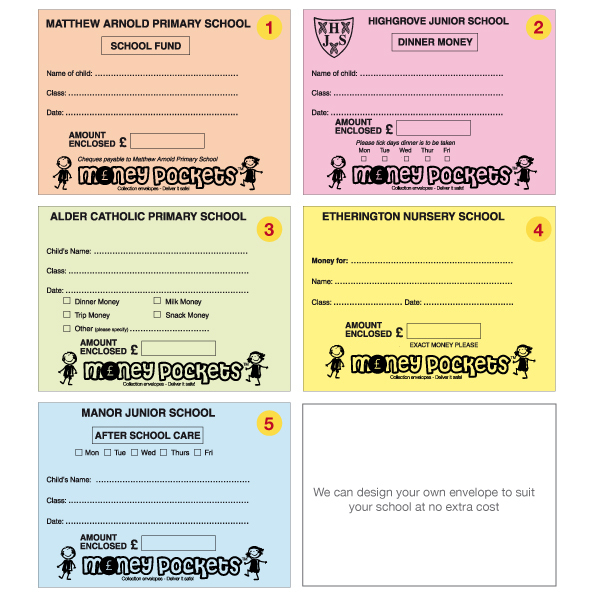 Please use the envelope order form below to place an order for our fully customisable Standard School Money Pocket School Envelopes (78x96mm). Once you have checked and completed your order, use the “place order” button at the bottom to submit your School Money Pockets order to us! Money Pockets can be printed using your own design or logo at no extra cost! Use the file upload below to submit your artwork in jpeg, pdf, eps or tif format. State here how you would like your envelopes bundled. Please note the minimum number is 30.